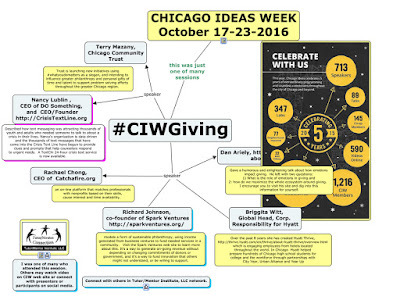 I attended Chicago Ideas Week - - session on Wednesday titled The Giving Solution: How Philanthropy Is Changing the World. The cost of $15 was well worth the investment. I took lots of notes, but was not able to Tweet since my phone battery died. Thus, I'm writing this article to share some of what I was thinking as each speaker shared his/her ideas. I created the map below to share links to speakers and to connect them and other participants to my own network of people and ideas. You will be able to go to the CIW web site to view video archives. You can go their today and follow live streaming of current presentations. What follows is a pretty long commentary including some of my reflections as speakers were talking. I can agree with that vision. That's been my own goal for over 20 years. I've intersected with Terry often over the past decade and the Tutor/Mentor Connection was supported by small CCT grants from 1998 to 2002. In fact, one of the research papers used to support creation of T/MC in 1993 (and continuation today) was titled Redefining Child and Family Services: Directions for the Future, which was a 1992 Chapin Hall paper, written by Joan Wynn, Joan Costello, Robert Halpern and Harold Richman. The report was partially funded by The Chicago Community Trust. Read the paper. I point to this because the Trust is launching new initiatives using #whatyoudomatters as a slogan, and intending to influence greater philanthropy and personal gifts of time and talent to support problem solving efforts throughout the greater Chicago region. I hope they succeed. I hope they continue this effort for the next 20 years. One of the problems with philanthropy is it often discontinues support too early. The Trust is also focusing on general operating support. which is critically important. I'm impressed with some of the work that I've seen over the past two years, the way the web site shares ideas and the way they are using social media to connect with others and give attention to organizations they fund. No donor funds 100% of any organizations on-going operations. So many donors need to follow this path. See this article. I'd like to be involved in their planning. In this 2005 article I pointed to three different events that focused on education and the well-being of youth, but were not connected with an internet strategy. Often since then when I ran into Terry Mazany at events hosted by the Trust, I offered the same advise and encourage efforts that connected participants to each other. I'm glad to see that their strategies are moving in this direction. Since last getting a grant from the Trust in 2002 I've not had a one-on-one conversation with any of their leaders because I was not able to get past the Letter of Inquiry. With social media we're getting closer to being able to talk to each other without the “proposal” providing the reason. Maybe this will lead to a better shared understanding of problems and solutions. The next speaker was Rachael Chong, CEO of Catchafire.org an on-line platform that matches professionals with nonprofits based on their skills, cause interest and time availability. Browse the web site. This is a sophisticated, and needed operation. As I listened, I said to myself, this looks similar to Taproot Foundation, which matches professionals with nonprofits based on their skills, cause interest and time availability. I sent Tween to Rachael asking how they differ. I've not heard back yet. The next speaker was Richard Johnson, co-founder of Spark Ventures, which models a form of sustainable philanthropy, using income generated from business ventures to fund needed services in a community. Visit the Spark Ventures web site to learn more about this. It's a way to generate on-going revenue without depending on changing commitments of donors or government, and it's a way to fund innovation that others might not understand, or be willing to support. Their work seems to focus on the developing world, but has applications in urban areas, too. Last week I wrote about Urban Farming and suggested that the urban farming network connect with the Tutor/Mentor network (see list of Chicago area organizations). I'd encourage them to look at the Spark Ventures model. I can envision urban farms in low-income neighborhoods generating revenue to support tutor/mentor programs, while also providing opportunities for youth enrolled in these programs to earn income and develop marketable skills. This could be a win-win-win. I tweeted this suggestion to SparkVentures. The next speaker was Briggita Witt, Global Head, Corp. Responsibility for Hyatt. Over the past 8 years she has created Hyatt Thrive, which is engaging employees from hotels located throughout the world. In Chicago Hyatt helped prepare hundreds of Chicago high school students for college and the workforce through partnerships with City Year, Urban Alliance and Year Up. As I listened to Briggita, I thought, "How can I get into this conversation? How can I inspire a team of Hyatt employees to browse articles on this blog, and want to join in efforts that make tutor/mentor programs more available, and shape these to be a source of future workers, future customers, and future problem solvers who focus on the same issues HyattThrive focuses on?" The next speaker was Dan Ariely, http://danariely.com/about-dan/, Professor of Psychology and Behavioral Economics, who gave a humorous and enlightening and thought-provoking talk about how emotions impact giving. He left with two questions: 1) What is the role of emotions in giving and 2: how do we maximize the whole ecosystem around giving. I encourage you to visit his site and dig into this information for yourself. This entire talk really resonated with me. 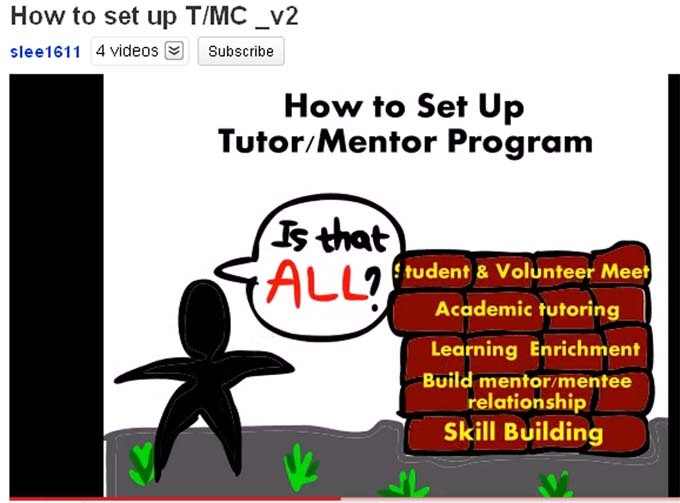 I recall talking with Chicago Tribune writer Bob Greene almost 20 years ago, asking why he only wrote about a single tutor/mentor program in Chicago, instead of all of them. He told me “If I can narrow the story down to one person saved by a tutor/mentor program, he'd write about it”. Never happened. Dan also talked about how “philanthropy is about emotion” saying “If we think rationally, we give less.“ This is a conundrum for me since I've been building a library of information intended to draw people into deeper learning, and strategic, long-term approaches that make tutor/mentor programs available to more kids. 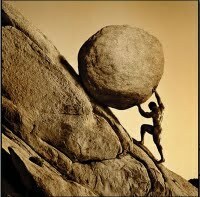 Dan's examples, and my own experiences, show this to be like pushing a rock up a steep mountain. Actually I've understood what Dan's saying for a long time. I always featured kids and volunteers from the Cabrini Connections program in newsletters focusing on T/MC. What I've never been able to do is draw together a team of creative people, social psyshologists like Dan, and tutor/mentor leaders, who would innovate ways to tell on-going stories, with a powerful emotional appeal, that draws donors and volunteers to tutor/mentor programs in all parts of the city, not just a single program. The last speaker offered a message I hope many respond to...now. Nancy Lublin , ceo of DO Something, and CEO/Founder, of CrisisTexLine.org described how text messaging was attracting thousands of youth and adults who needed someone to talk to about a crisis in their lives. Nancy's organization is data driven and the thousands of text messages that have come into the Crisis Text Line have begun to provide clues and prompts that help counselors respond to urgent needs. 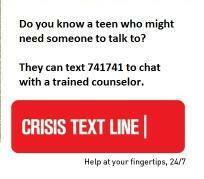 A TextChi 24-hour crisis text service is now available for the Chicago region. I've already shared this with my own family and my social media networks. I encourage readers to share this in their own networks. I'm not a great “reporter” so the brief summaries I've provided are intended to inspire you to visit the web sites of these speakers and build your own understanding. However, this also inspires me to share this PDF essay. I feel that if groups of people are aggregating information showing the good work already being done by companies such as Hyatt and innovators such as Catchafire, SparkVenture, and CrisisTextLine, others can learn, borrow and adopt these ideas for other places, or other causes. To build in what Dan Ariely was talking about, the "carrot" is food for thought. However, we need rabbits who spark an emotional response, that motivates people to chase the ideas and spend time digesting it. Bad example? Do it better. Someone has to pay for this work to be done and I hope the Community Trusts efforts lead to such funding, not just for traditional 501-c-3 non profits, but for social benefit organizations who work for similar goals but under a different tax structure. That would include myself. I don't need to be doing all the collecting or sharing. Chicago Ideas Week and others do a great job of putting the spotlight on some of the people operating in this space. I want to know where to go to find ideas when I'm looking for them. I want to inspire people to churn this information so more people are aware and are using the good ideas to make good things happen in more places. Focus on Inequality. Using Maps. What Am I doing? Why Do I Keep Trying?